Twice an All-Ireland winning manager with the Dublin U-21s, Gavin has been the front-runner to take over in the capital since Pat Gilroy announced his decision to step down last month. THE DUBLIN FOOTBALLERS have a new manager tonight. Jim Gavin has been ratified as the 2011 All-Ireland champions’ new manager at a meeting of the county board this evening. The Round Towers clubman was part of the Dublin side which ended the county’s long wait for Sam Maguire in 1995 and then brought further honours back inside the city limits as U21 manager, winning in 2010 and again in 2012. Mick Bohan, Declan D’Arcy and Davy Dalton will make up his backroom team according to RTE Sport. Hurling manager Anthony Daly is also expected to be reappointed at tonight’s meeting. Email “Dublin GAA chiefs appoint Jim Gavin as new football boss”. 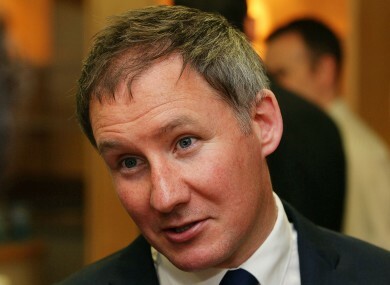 Feedback on “Dublin GAA chiefs appoint Jim Gavin as new football boss”.